Looking for a good buy? Fitz Towing holds an auto auction every month in Auburn. Vehicles are sold “as is” to the highest bidder. We always have a selection of late model vehicles available to the highest bidder. Choose from hundreds of vehicles each week from our locations listed below. 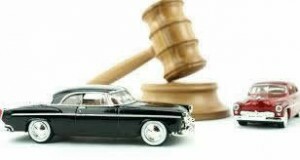 Lien-sale auctions are a great way for you to find the vehicle you are looking for at a great price. We sell vehicles in all conditions including motorcycles, boats, vans, trucks and more! Don’t miss you chance to find what you’re looking for at a great price! Click the button below to view our Facebook page where we keep a current listing of auction vehicles. Auction on the 1st and the 3rd Tuesday of each month. Vehicle preview begins at 10 am. Auctions begin at 11 am. A list of auction vehicles can be found on our Facebook page. All vehicles sold “AS IS” to the highest bidder with no implied or expressed warranty. Vehicles must be paid for by noon and removed by 4pm on the day of the sale.